New Zealand singing sensation Hayley Westenra has been named one of the 10 outstanding young people in the world in the prestigious annual awards by Junior Chamber International (Jaycees). 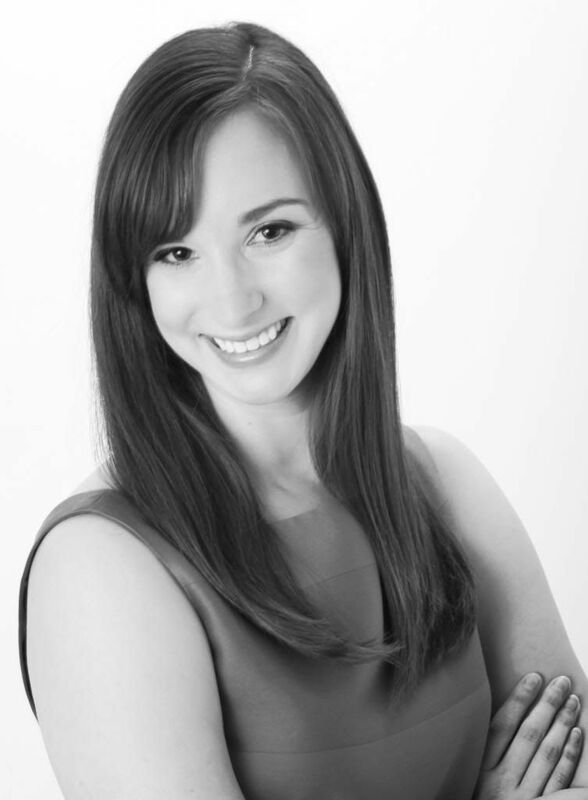 Junior Chamber International selects Hayley Westenra as an Outstanding Young Person of the World. The full transcripts are on the Media board HERE. Sorry Richard - beat you by 5 minutes. At least that is a double congratulation. I think this story belongs on both the Media and Celebration boards, but I'll edit my transcripts and add a link to your posts, to avoid too much duplication. Thank you Richard; that's exactly how it should be. 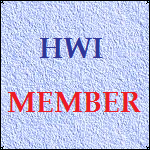 You will always be outstanding to us at HWI Hayley! A well deserved nomination! Keep on like this! Hi Caite & Happy Birthday. This award will certainly help you celebrate it. Here's another article re Hayley's award. Christchurch singer Hayley Westenra has been named one of the 10 outstanding young people in the world by a young leaders' organisation. Junior Chamber International (JCI), a worldwide federation for young leaders and entrepreneurs, each year recognises 10 people aged between 18 and 40 who have excelled in their chosen field. This year, the 19-year-old popera star was the winner in its cultural achievement category. Westenra said getting the award was a shock and a huge honour. "I don't set out to chase awards," she said. "I'm just doing what I love, singing, following my dreams – along the way I'm trying to make the world a better place." Westenra, who has been a goodwill ambassador for Unicef for three years, said she was proud to be "flying the New Zealand flag". "It's great just to know that despite coming from a small country, we are getting to an international level and we can compete with bigger countries." Westenra is the first New Zealander to receive a JCI award. Previous recipients include actor Jackie Chan and entrepreneur Anthony Robbins. Westenra's mother, Jill, said being a role model and doing charity work kept her daughter grounded in the sometimes superficial music business. "It makes it really worthwhile," she said. JCI New Zealand national president Andre Stokes said nominating Westenra for the award was a "no-brainer". I think it's appropriate to put this here since Hayley's love for, & loyalty to, her country of birth is unquestioned. Also the sudden appearance on this site of the New Zealand coat of arms together with the view looking North from the old volcano on the South side of Christchurch plus Hayley has roused the interest in me at least for a closer look at it. Added to that is that since learning of that lovable & unforgettable character Steve Irwin's passing I've been somewhat 'down' & this whole award that Hayley's just had bestowed upon her has cheered me up again no end. The first recorded move to establish a Coat of Arms for New Zealand was 1906. Designs were called for a Coat of Arms, however those being considered were destroyed when fire swept through the Old Parliament Buildings in 1907. The competition was readvertised in 1908 and some 75 designs featuring everything from kiwis, sheep, cows, moas and lions, to stars, ships, British soldiers, Maori warriors and Union Jacks were received. Three entries were sent to England for final judging. The winning entry was a design by James McDonald, a draughtsman in the Department of Tourist and Health Resorts. A Royal Warrant granting armorial ensigns and supports was issued on 26 August 1911 and was published in the New Zealand Gazette of 11 January 1912. These arms, known as the 1911 arms, are no longer used. Although the Royal Warrant of 1911 gave a description of the New Zealand Coat of Arms, by the mid 1940s it was found that there were at least 20 versions of the design in use. A committee was established to arrange for the redrawing and standardisation of the Arms, and a revised version received The Queen's approval in 1956. The principal alterations were; in the crest (which now is St Edward's Crown to symbolise the fact that The Queen is Queen of New Zealand); The quarterings in the shield which were redrawn; the supporters were redrawn so that they faced inwards instead of to the front with the Maori chieftain losing his hei tiki and gaining a kapeu ( a greenstone ear pendant); the scroll was replaced by two fern leaves and the name 'New Zealand' was used in the place of 'onward' so as to give a more direct New Zealand touch. These arms are still in use today. The first quarter of the shield depicts four stars as representative of the Southern Cross, then three ships symbolising the importance of New Zealand's sea trade; in the second quarter is a fleece representing the farming industry. The wheat sheaf in the third quarter represents the agricultural industry, whilst the crossed hammers in the fourth quarter represent the mining industry. 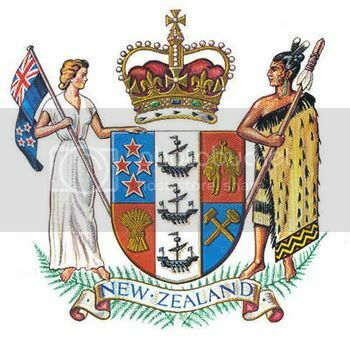 The supporters on either side of the shield consist of a Maori Chieftain holding a taiaha (a Maori war weapon) and a European woman holding the New Zealand Ensign. Surmounting the Arms is the St Edward's Crown which was used in the Coronation ceremony of Her Majesty Queen Elizabeth II. The crown symbolises the fact that Her Majesty is Queen of New Zealand under the New Zealand Royal Titles Act 1953. Coat of arms pic courtesy of Wikipaedia. Top talent :Hayley Westenra and Andre Stokes of Junior Chamber International at the announcement yesterday in Christchurch. Its a very well deserved honour - fantastic ! I didn't think of this last night but is there any chance of your doing a scan of that newspaper page black & white photo & posting it?? It sounds like it shows Hayley's reaction as she found out about her award.